How Long Do Other Foods Last? The other category of foods includes many different food groups that didn't quite fit into the main categories. Foods such as Oils and Condiments, Sauces, Sweets, Snacks, Baking Products and Spices are all included as sub-categories in the Other food category. The other food group is often thought of as the "extras", not really essential to survive but often thought of as essential to truly enjoy the entire process of eating for pleasure and not just purpose. It's generally considered OK to dip into this food group, but not to try and survive on it unless it's an emergency situation. Also included in this "other" category are a few items that are not even edible. Things like dry ice, aspirin and even make-up are included here. Even though they are not food or beverages, they too can eventually expire and thus their shelf life information is important to know and explore. All of these products are very different and therefore have varying shelf lives and also preferred storage methods that will increase their shelf life. Check out some of your favorite products to be sure you are getting the most value and flavor out of each and every one. Actually, you should check them all for helpful tips and ideas. While you're at it, don't forget to read our blog a few times each week to what we've been doing. 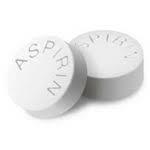 Is your aspirin expired? Find out about it here. Cakes are best when fresh. Do you know the shelf life? Candy canes look like they can last forever. Do they? Cheesecake is decadent. Are you storing it properly? Chocolate is associated with romance. Keep yours fresh! Chocolate Syrup is a favorite in milk. Click here to find out how long it lasts! Cookies are popular. Make sure they're fresh! Cupcakes are more popular than ever. Don't let yours go bad! Dry Ice can melt, find out how to store yours. Gingerbread is a holiday treat. Click here to find out how long it lasts! Want to know if Jello has gone bad? It can be tough. Find out more. Jelly beans last a long time. Find out how long. If you've got leftovers, click here to find out more. M & M's are sweeter when fresh. Find out how to tell. Marshmallows can go bad. Find out how to tell. Oreos are America's favorite cookie. Do you know how to store them? Pesto does not last forever, find out how to store yours. Pies come in so many varieties. Find out how to store yours. Popsicles keep in the freezer. Don't let yours go bad! Prescription Medication - Use as directed! If your brunch menu includes quiche, click here to find out more. Spaghetti Sauce is produced in all sorts of varieties - which lasts longer? Vitamins expired? Get more information here.